I remember when I was volunteering at our shelter. It seemed like everyone always wanted puppies. My heart would break for the older dogs there who were often overlooked. Sometimes they had ended there only because they were getting old, and their families wanted a younger dog to play with the kids. It was heartbreaking. I just wanted to scream at them, “Don’t you know how wonderful senior dogs are?” In many ways they are so much easier than puppies. With November being Adopt a Senior Pet Month, this is the best time to check out your local shelter and think about adopting an older dog. They are no longer teething and won’t chew on everything in sight. Their energy level is lower so they are more calm and laid back. Aging dogs have usually had some form of obedience training and know some basic commands. You usually know what you are getting. The dog is already as big as he will get. You probably have some idea of the health issues the dog may have and if you spend a little time with him, you will discover what kind of personality he has too. You are saving a life that would probably be ended much too soon. Puppies almost always get adopted but dogs over 7 years of age have a much less chance of finding a home and a much greater chance of being euthanized. An older dog is most likely already housebroken. A senior dog doesn’t need as much exercise as a young dog does (although they still do need some and 1 good walk a day should do it). An older dog doesn’t need as much food as a younger dog does. They make great companions and will be eternally grateful for the loving home you provide them. If you have kids, older dogs are usually more tolerant and make great playmates. I can’t tell you how many times my granddaughter dressed up Buddy and Roxy and would have a tea party with them or play school with them. They pretty much let her do whatever she wanted. I know one of the biggest arguments against adopting an old dog is that they won’t live very long and may have a lot of health issues. That may be true but there are things you can do to help them have the healthiest and longest life possible. Exercise every day. A walk or a game of fetch is enough. See your veterinarian regularly. Many vets want to see senior animals every 6 months, but at the very least, take them in to see the vet yearly. Brush their teeth and provide some dental chewies and chew toys. Feed them a quality food formulated for the aging dog. Proper food can make a world of difference. 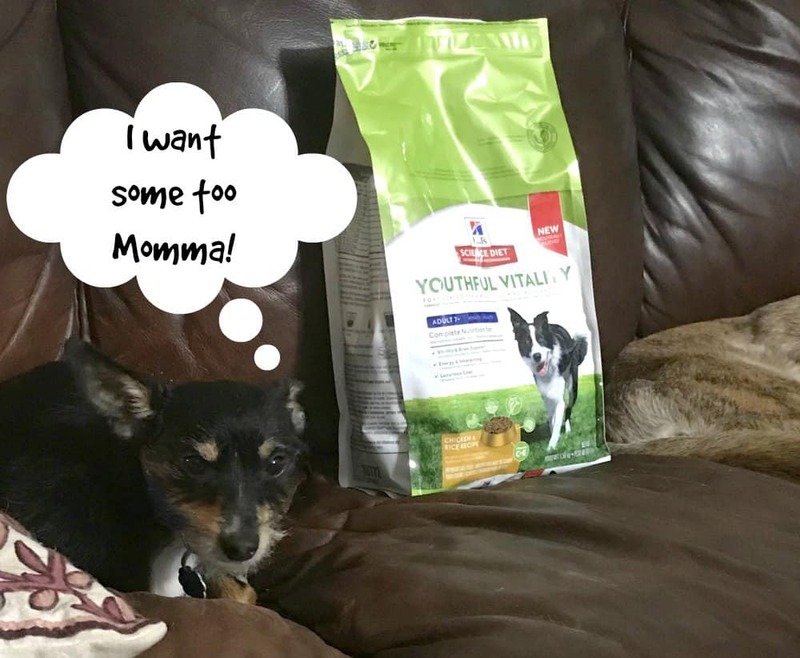 I was lucky enough to receive a bag of Hill’s® Science Diet® Youthful Vitality for my oldsters to try. They really seem to like it. So much so, I have bought another couple of bags for them. Lucas, being only 2 has his own food, but I’m always having to shoo him away from the seniors’ food because he likes it too. 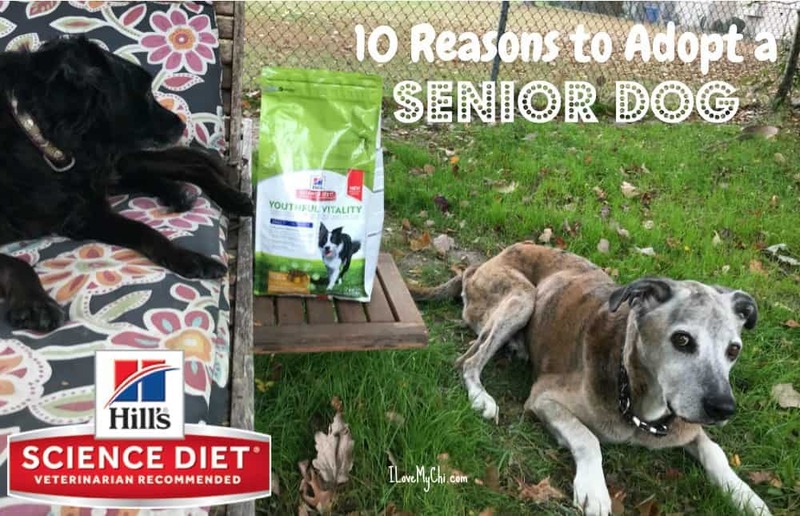 I like that this food is specifically for older dogs (they have a formula for cats too) and can help with signs of aging.This food promotes a healthy coat, energy and vitality and brain function and also helps to promote a healthy digestive system and immune system. 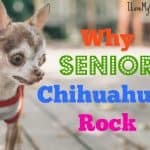 My oldies aren’t small like Lucas, my chihuahua, but I did notice in the store when I bought my last bag, that they have a small breed formula too. 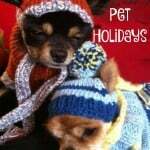 Perfect for our chihuahuas. 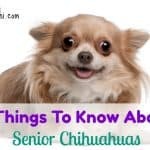 Something else really wonderful Hill’s® has done with the help of Animal Planet is they have made a wonderful web series about senior pet adoption stories. It’s called Mission Adoptable. How cute is that name? Check the series out here. I watched the series myself and the stories are wonderful (you may need a tissue). You will love it as much as I do. You can learn more about Hill’s® Food, Shelter & Love program here. Be sure to also check Hill’s® out on Facebook, Twitter and Instagram. I’d love to hear of your experience of adopting an older pet. Leave a comment below and tell us about it. 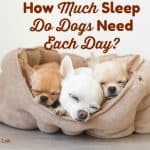 How Much Sleep Do Dogs Need Each Day? I adopted a 9 year old Chihuahua last year from a high kill shelter. It was the best thing I ever did! Love my girl! I’ll check out that Science diet food as I want to help Molly stay with me as long as possible. Can you get it at Petsmart? So glad you adopted Molly! Yes you can get it at PetSmart. That is where I have been buying it. At our PetSmart, it wasn’t with the other Science Diet food but in the middle isleway.